The weather reports are in and the "big one" is scheduled to hit your town. They are calling for over a foot of snow and you know what this means - it's money making time for snow plowers. It's the storm you have been waiting for all season and it's finally here. The truck is fueled up, the plow has been inspected and it's time to hit the road! STOP! Have you equipped your plow truck with these winter survival tools? Snow plowers encounter some of the most dangerous road conditions and it's important to be prepared. In the event you have a breakdown or become stuck, here is a good list of items to have with you as you head out to tackle the storm. 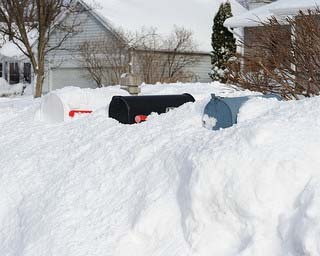 If you are a BOSS SNOWPLOW owner, it is recommended that you have an Emergency Parts Kit on hand. Emergency Parts Kits are available for both BOSS Straight Blades and Power-V plows. The parts kits include a cutting edge bolt kit, eye bolt kit, power unit solenoid kit, hydraulic fluid, hose, trip return spring, 12 volt relay, dielectric grease and ratchet strap. 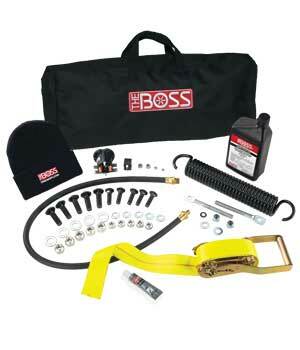 Parts kits can be purchased by contacting your local BOSS dealer. Remember as you head out to tackle the "big one" to not only watch out for the safety of others but also your personal safety as well.